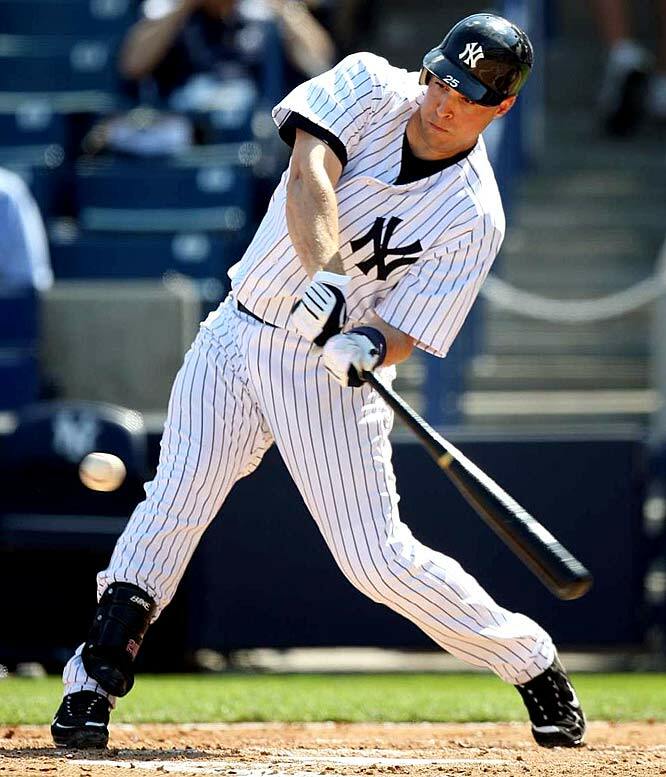 The struggling Yankees offense needs Mark Teixeira to regain his lefty swing. After struggling in April, as he does each season, Mark Teixeira seemed to turn the corner as soon as the calendar flipped to May. In the first half of the month, Teixeira posted a line of .333/.406/.649 with 5 HRs and 19 RBIs in 14 games from May 1 to May 15. Since that time, however, the Yankee first baseman has fallen back into a deep slumber, posting a line of .186/.255/.209 over the next 10 games. The strange thing about Teixeira’s slump is there doesn’t seem to be any identifiable reason for it. Unlike Derek Jeter, whose recent slump was characterized by an increased rate of swinging at pitches out of the strike zone and a corresponding decline in line drive percentage, Teixeira’s swing and contact rates have remained nearly identical to last season. Yet, for some reason, his BABIP has plummeted all the way to .226, which is well below his career rate of .305. So, is luck the reason for Teixeira’s early season struggles? Although that may be part of the explanation, it does seem as if some other dynamic is at play. What stands out most is Teixeira’s struggles as a left handed batter. Not only is his OPS as a lefty a full 200 points lower than from the right side (.627 vs. 831), but his BABIP from the port side has also declined by a larger percentage compared to last year’s rates (27% from the left side versus 19% from the right side). Perhaps even more significant, fly balls hit to right field by Teixeira as a lefty are simply not leaving the park. Last year, 47.1% of fly balls pulled to right went for HRs, but this year, that rate has fallen drastically to 25% (his percentage as a righty pull hitter has actually increased from 40% to 50%). Clearly, Teixeira’s struggles from the left side have led to the depth and duration of his nearly season long slump. But, why has his lefty stroke alluded him for so long? One thing that has become noticeable from watching all the games is more teams than ever before are employing a dramatic shift against Teixeira when he bats as a left handed hitter. Perhaps Teixeira has become frustrated by the defensive alignment on the infield and tried to lift the ball more, resulting in his fly balls not being as well struck? Or, perhaps in an effort to thwart the defensive alignment, Teixeira has settled for making weaker contact in an attempt to go the other way? Giving credence to that assumption is the fact that of the 41 balls Teixeira has hit to center or left as a left handed hitter, only four have landed safely (three singles and one double). Finally, maybe changing wind patterns (or some other variable) at Yankee Stadium have turned the friendly short porch into an enemy. Whereas 24% of Teixeira’s fly balls at home left Yankee Stadium in 2009, only 8% have done so this year (again, his road rate has actually increased from 12.6% to 13.5%). Even though Teixeira has also struggled on the road as a lefty, it could be that he is carrying over his frustration from not being able to hit homeruns at Yankee Stadium. Whatever the reason, the Yankees need Teixeira to figure out what’s wrong with his lefty swing. With Nick Johnson, Curtis Granderson and Jorge Posada absent from the lineup, Teixeira remains as one of the team’s few power threats from the left side (or any side for that matter). If the Yankee offense is to return to form, it will need Teixeira to do so as well.